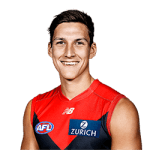 Aussie Rules has a wide following and lots of betting fans are looking forward to March the 23rd, when the AFL 2017 Toyota Premiership starts. But as of last weekend, the footie season is already in full swing: Friday night saw the launch of the first AFL Women’s season at IKON Park, in which Carlton beat Collingwood 46-11. The game saw 24,500 spectators crammed into 20,000-seat stadium, with around 1,000 supporters eventually locked out of the ground on police orders, after safety concerns arose. TV viewership was recorded at 1.22 million. 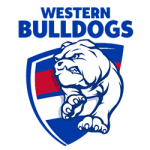 On Saturday, more than 9,000 people were at Thebarton Oval to see Adelaide beat Greater Western Sydney 48-12, with 10,100 at the VU Whitten Oval for the Western Bulldogs / Fremantle game, which the Dogs won 44-12. 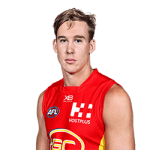 Even Casey Fields, not renowned as Melbourne’s most popular arena, saw a crowd of 6,500 on Sunday, to watch visitors the Brisbane Lions defeat Melbourne 25-10. From gate sizes, TV viewership and online betting action, it is clear that footie fans have taken to the AFLW season in numbers that should make it a long-term success. Some commentators reckoned the Bulldogs match against Fremantle was a forerunner of the Grand Final on March 25, and the Bulldogs in particular are looking like a strong possibility for the women’s title. But with levels of interest surpassing AFL expectations, there are now calls from many fans to hold the Grand Final at the MCG. If that does come off, it will interlock the AFLW season with the AFL 2017 Toyota Premiership even more intimately, because of course, March 25 falls in the opening weekend of the men’s tournament. 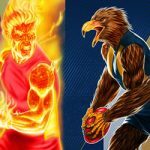 If the AFLW season does end up being decided at the iconic Melbourne ground, the Grand Finalists will have to share the Saturday action with the Round 1 Essendon / Hawthorn AFL Toyota Premiership game.